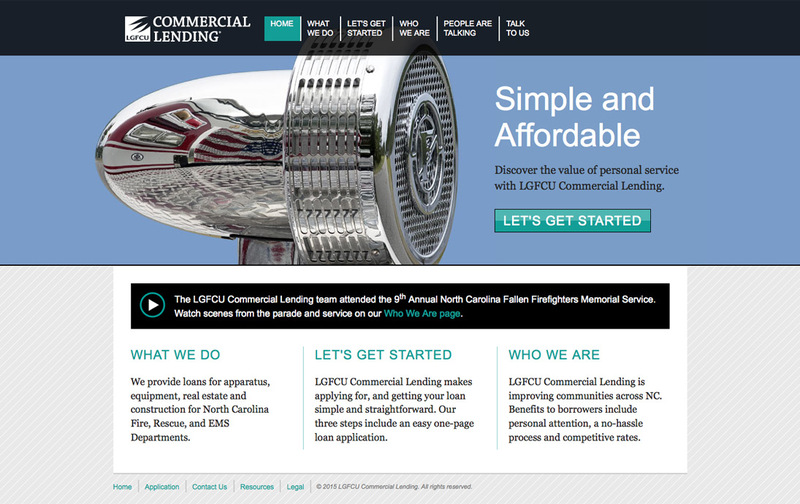 Originally designed in 2010, LGFCU Commercial Lending's 2013 brand refresh inspired a new homepage design and modernized interior page layout. This site features custom photography taken of actual customers, along with equipment and buildings their loans have funded. In 2014 I redesigned the interior page headers to be more flexible with new photos for an updated look. The original version of this site won a 2011 CUES Golden Mirror Award of Merit and 2011 CUNA Diamond Award of Merit. 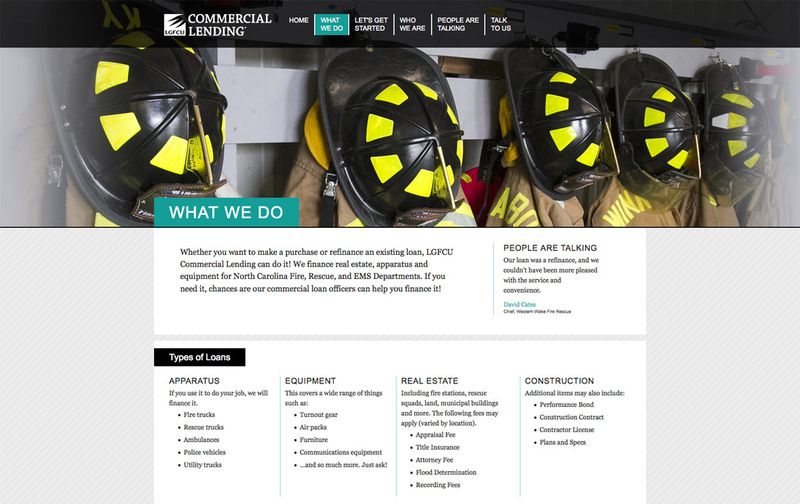 The redesigned homepage design features more information about who the company is, what they do and a stronger call-to-action to "Get Started" with a commercial loan. 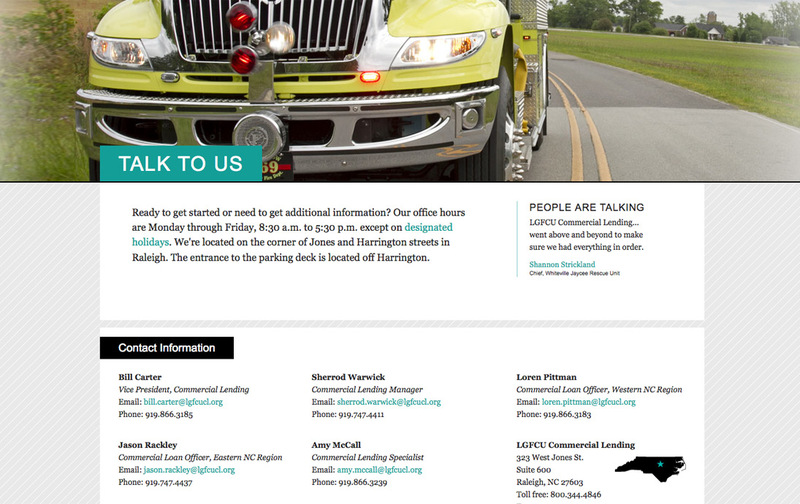 Part of the 2013 refresh was to reorganize the navigation and put more emphasis on explaining the company services. They wanted strong imagery with content that emphasized their personal service. Every internal page features a quote from a client that links to their full testimonial on the "People Are Talking" page. Scrolling down into the page content shows a fairly flexible grid that can be two, three or four columns. This was the first site I built using media queries and flexibility in my grid structure.